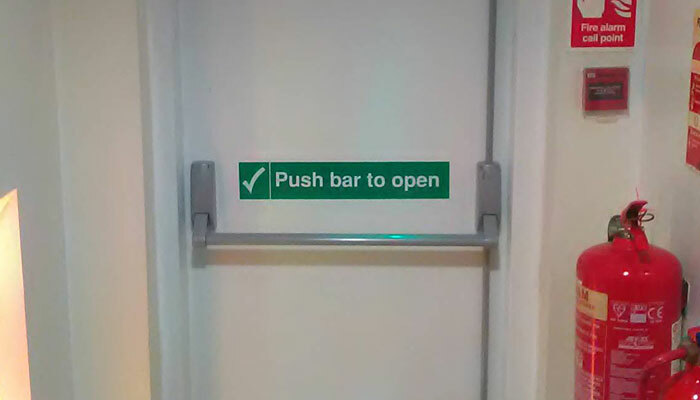 Health and safety is essential for us on the shop floor, on site while we're installing your doors, and for you, when you're opening and closing them every single day. We take our health and safety responsibilities very seriously – they’re a key part of our promise that nobody goes further than we do in providing a fantastic service, with a high quality of work. We manufacture all of our doors ourselves on-site, and install every single one ourselves too, so maintaining high health and safety standards as we go about our day-to-day business is essential. We are a SafeContractor approved business. SafeContractor is a health and safety audit service provided by the Alcumus group, which ensures that health and safety is handled correctly. 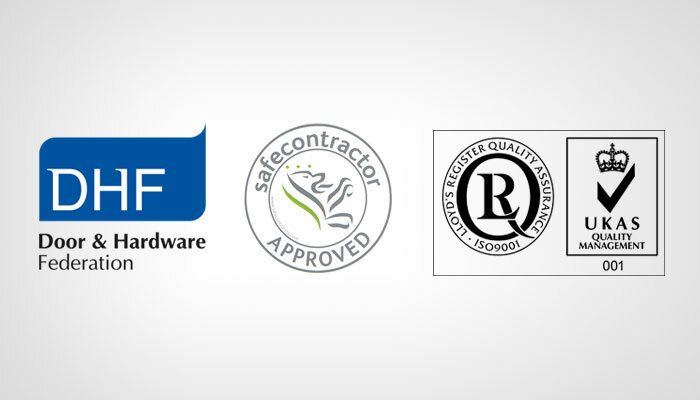 We are also a member of the Door and Hardware Federation, which supports businesses in our industry by liaising with the Health and Safety Executive, and have achieved ISO:9001 accreditation for our quality management process. Our doors feature a whole range of safety features, including fire doors that are resistant up to four hours, safety breaks, anti-fall-back devices, battery back-ups, automatic closing connected to fire alarms, and more. Weather-resistant doors also help people to remain safe even in the most challenging of conditions. Not only are these features important for keeping your employees and customers safe and sound, they may also be legal requirements. If you have any specific health and safety needs in your business, please do give us a call to talk to our engineers – we’re sure we’ll be able to come up with a solution that ticks every H&S box! As all of our doors are made to order, we can always accommodate your unique needs – particularly when it comes to health and safety. All of our doors, grilles, gates, security features, and more, are all designed and made right here in the UK by our team. We engineer everything ourselves, on-site in our West Yorkshire plant – but we work across the whole of the UK. No matter where you are, we can be there on the day for urgent repairs and maintenance. If you have any questions about our approach to health and safety, or are unsure about what you need to do to make sure your own doors are health and safety compliant, then please feel free to give us a call or drop us an email.